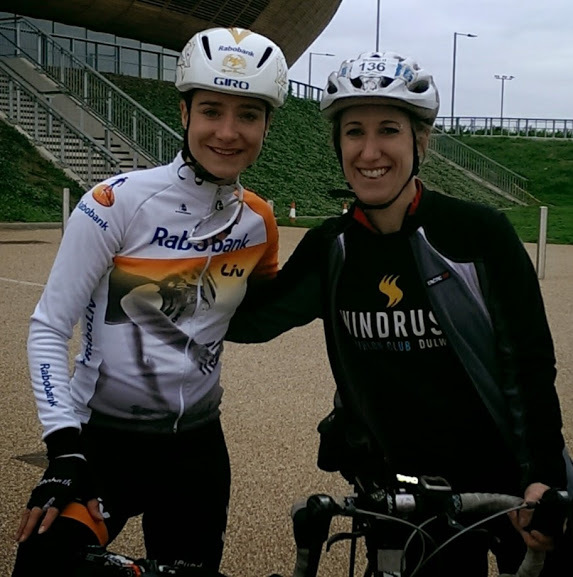 Last weekend I went out cycling with one of the world’s greatest cyclists, Marianne Vos. 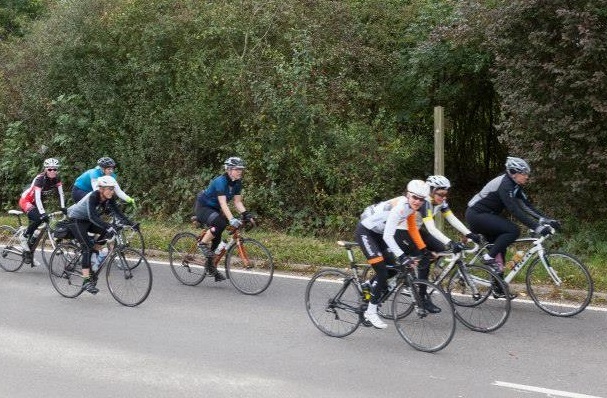 I should probably clarify, it wasn’t just me and Marianne, but me and about 50 other women who joined the #TakeTheStage ‘secret twitter ride’ that Marianne’s team organised to promote women’s cycling. Now don’t worry if you haven’t a clue who I’m on about, you’re not alone. Many rate Vos as one of the best cyclists of all time – she’s got 2 Olympic medals, is a multiple world champion on the track and on road and comments and articles about her invariably include comparisons to the great legend of cycling Eddy Merckx. Yet as I excitedly squealed to friends on Saturday that I was going out riding with Marianne, I was mostly met with blank faces. Outside of my cycle geek friends, almost no-one had heard of her. If she’s so good, why isn’t she better known? Well maybe because, as a road cyclist, she has so far failed to win that most famous bench mark of road cycling prowess, the Tour de France. 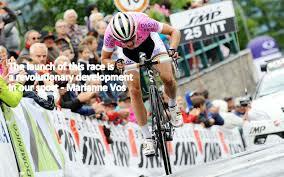 Not, I should add, for lack of skill or ability, but simply because there is no women’s Tour de France race. And that is the sad fact of women’s cycling, it lacks funding, coverage, sponsorship, prize money, races…. She did however win this year’s inaugural ‘La Course’, an elite women’s one-day road race held in Paris on the legendary Champs-Élysées course, just before the main Tour arrives in. It was a double victory, not only did she win the race, but she was one of the main voices campaigning for the race to be set up. But Marianne doesn’t just campaign for more opportunities and recognition at the elite level. She’s a great advocate of the view, which I passionate believe in, that you must take a holistic view – there must be opportunities at all levels for true change to come about. When the world’s best cyclist offers you her wheel it might have been sensible to accept the tow! The current state of women’s sport is a vicious circle – lack of media coverage means the sponsors aren’t interested which means there’s little money to support the athletes so there’s a limited pool of good athletes coming through the ranks, which means the media doesn’t want to cover it. At the same time, lack of profile for the sport means young girls and women aren’t attracted to the sport, again meaning that there’s a lack of potential athletes coming through and a lack of interested public to demand more coverage. Marianne is seeking to reverse this cycle. Whilst she was in London last week she led a series of #TakeTheStage events to raise the profile of women’s cycling, including a round table at the Olympic Velodrome as well as the ‘secret twitter ride’ I joined her on. She is also one of the main voices behind #Weownyellow – a festival in Utrecht, where the Tour de France starts next year, aiming to get ‘all women from around the world to get together to take over the city and colour it yellow’. Not only will these sort of initiatives help reverse the negative cycle – feeding the demand and talent pool from the bottom up, leading to greater coverage and opportunities at the top of the sport which encourages more people into the sport at the grassroots. But just as importantly, it simply helps more women discover the joys and benefits of cycling. 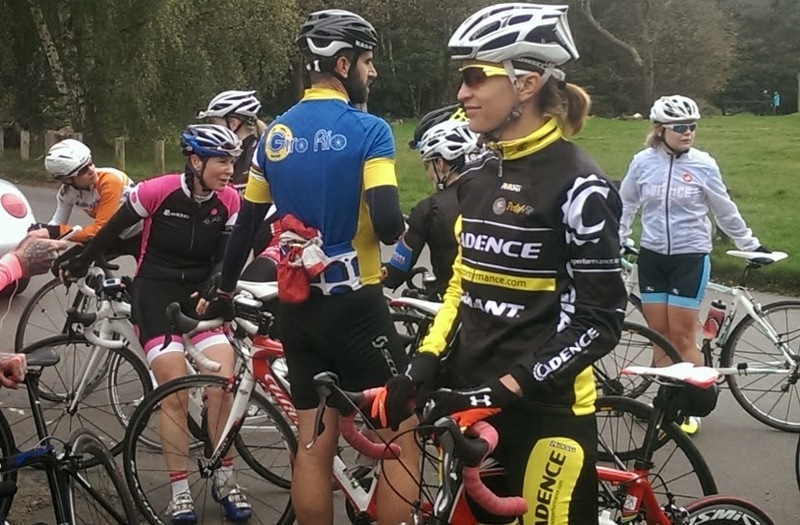 And from the comments of the others on the ride last weekend, I think I can safely say we were all truly inspired and motivated to be part of the change that is already well underway to bring more women into cycling at all levels. This entry was posted in cycling, women in sport and tagged #takethestage, #weownyellow, cycling, cycling sponsorship, La Course, Marianne Vos, women, women in sport, women's cycling. Bookmark the permalink.